Kit Anderson's ceramics are born through a combined interest in surface and image. She uses a unique photo-transfer process, drawn from an archive of her own accumulated photographs. She is constantly adding to her image collection, observing the world around her; she is drawn to the natural world, its patterns and silhouettes, in particular wintry trees, plant forms and seed heads. Each of her ceramics starts with an image. Once this is chosen, she experiments with surface and form, allowing the image to inform the work. Once the image is transferred and fired, she builds tone by layering slips and glazes. The transformative effect of firing on her images gives them a fragile, haunting beauty. Kit has a background in photography, and in 2006 set up her ceramic studio, following her MA at De Montfort University. 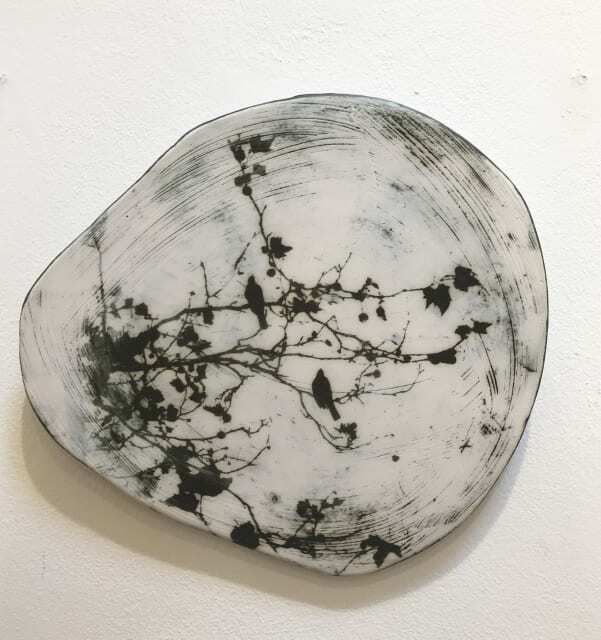 She was awarded a research and development grant by the Arts Council, allowing her to refine and develop her innovative photographic transfer process in ceramic.